To our western ears, Zen can often sound austere, unkind, even brutal and cruel. We hear about the rejections at the monastery gate, the hardships, humiliations and rough treatment its adherents are sometimes subjected to, and maybe we’re inclined to think it’s all a bit much for grown up people. However, when things are taken out of context—historically, spiritually, and culturally—they can so easily be misjudged and that is what can happen to Zen. This is, after all, a particular system which has survived around the world for centuries. It isn’t the only route for Buddhists, of course, but it is a tried and tested one. Naturally, when the attempt is made to transplant something so subtle from one country to the next, let alone from east to west, there will be difficulties, and it will be subject to abuse or misuse which in many respects it is suffering now in the west where in a broader sense the word ‘Zen’ has come to mean clever, smart, refined, minimalist, aesthetically pleasing, fashionable, tough, etc, and sometimes removing it entirely from its Buddhist context. As far as the Zen masters are concerned, however, they have always been motivated by something beyond this material world and even when they are being apparently extreme or severe, if they are genuine, far from being cruel or uncaring they will be acting from a grandmotherly kindness. Despite our own experiences of grandmothers, as we know, the archetypal version is a kindly, patient, generous, sometimes sentimental, old lady. It is doubtful that the Zen masters were ever emotional or particularly personal with their students, of course, but the genuine love behind their actions would most definitely have been very great indeed, great enough for them to go to the lengths they did in an attempt to bring people to the liberated, awakened mind as quickly as possible. Sometimes, as we’ve heard or known for ourselves, they will use sharp words or shocking behaviour. The old masters like Ma Tsu, for example, were renowned for it. They would use unbelievable ingenuity for dealing with people’s particular needs, and that must have taken great effort on their part and a kindness beyond measure. Ma Tsu (Jap. Baso) 709-788 is considered to be one of the most important of the early Chinese Ch’an (Zen) masters. He certainly had as much historical influence over the way Zen developed as the great Sixth Patriarch Hui Neng before him, and he drew a lot of disciples, many of whom themselves later became recognised masters. 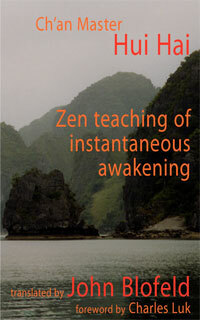 Ma Tsu left home to become a monk when he was very young and practised under a variety of teachers. Eventually, he encountered Huai Jang with whom he received the mind-to-mind transmission and became his dharma successor. It was customary in those days for monks to travel a great deal. They would visit various practitioners with the intention of testing out and deepening their realisations. Ma Tsu was no exception and after his enlightenment experience with Huai Jang, he travelled around for another twenty years. China was, of course, experiencing great social unrest at that time which may well have been a contributing factor to his lifestyle. He was, indeed, about seventy years of age before he finally settled down at K’ai Yuan Monastery in Chung Lin where he remained until his death some ten years later. 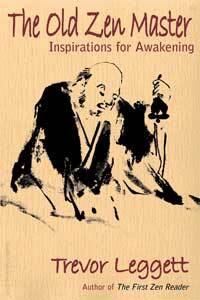 Many Zen masters are, as we know, noted for their strange behaviour, but particularly so was Ma Tsu. In a way, he developed the art of literally shaking his students awake—not from ordinary sleep, of course, but from the reverie of mundane consciousness. He would knock them to the ground, pinch their noses, unexpectedly give them a blow with the stick (1), suddenly shoot questions at them, produce earth-shattering shouts (Chin. ho!, Jap. katsu! ), or use wordless gestures—all in an attempt to rouse their sluggish minds. He was very resourceful. ‘Bow down!’ commanded Ma Tsu. The monk obeyed. Ma Tsu kicked him. ‘What is the meaning of Bodhidharma coming from the west?’ This is a common question in Zen, of course. It really means something like: ‘What is the meaning of Bodhidharma’s Zen?’ Or, ‘What is the awakened state?’ In answer to the monk’s enquiry, Ma Tsu’s kick was an unexpected response. It must have shocked Shui Lao. Presumably that was the whole idea!—shocking one out of the head with all its questions and thoughts, right into the actuality of the moment. And it worked, bringing a marvellous result for that monk. Fa Ch’ang had a great awakening and later went to live on a nearby mountain. When Ma Tsu heard of Fa Ch’ang’s remarks, he said, ‘The plum is ripe.’ In other words, Ma Tsu was delighted with Fa Ch’ang’s response. It revealed the man’s freedom from the tangle of words. 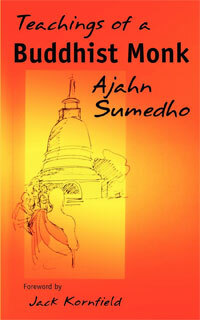 He wasn’t dependent on the phrase ‘mind is buddha’ or ‘neither mind nor buddha’. Both descriptions meant the same to him. As far as Ma Tsu was concerned this was confirmation enough of his deep insight. ‘Wild ducks,’ said Huai Hai. Ma Tsu immediately turned and grabbed Huai Hai’s nose. Huai Hai cried out in pain. At these words Huai Hai had an insight. What with the pain and the sudden change in mood, Huai Hai could have been confused, but he wasn’t. No! Instantly and unselfconsciously he realised that their conversation had been about the immediacy of this moment, the nature of the essence of mind. Stunned, the moment suddenly became vibrant for Huai Hai and he saw the utter joy and reality of it. It was only a flash, but enough to be a momentous insight. It is doubtful that Huai Hai would at any point have felt offended by Ma Tsu’s behaviour, or worried about any damage done to his nose. More than likely the experience of being utterly at one with the moment beyond the thinking mind, beyond all views, opinions and descriptions, would have brought nothing but genuine happiness and a deep regard for a wise old master with a truly grandmotherly kindness. 1 A length of split bamboo of about 50cm long wound with cord, used to spur on students sitting in meditation. Read more articles by Diana here. This explanation of a path to Zen punctuated with the shock of physical brutality was not what I expected – although at one time I did receive some tough love from my grandmother, which fell short of being smacked with a bamboo pole or having my nose pinched. 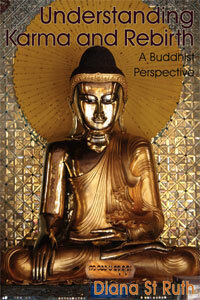 I’m grateful to consider this teaching, but I am taking a more peaceful path to increased insight. The only way I can relate to this personally is when something shocking happens accidentally – a klonk on the head by a cupboard left open, the keen needles of a hot shower turned icy – and I can see how that might bring the shift that ushers in revelation.